Height: 5' 10" , Weight: 170 lb. 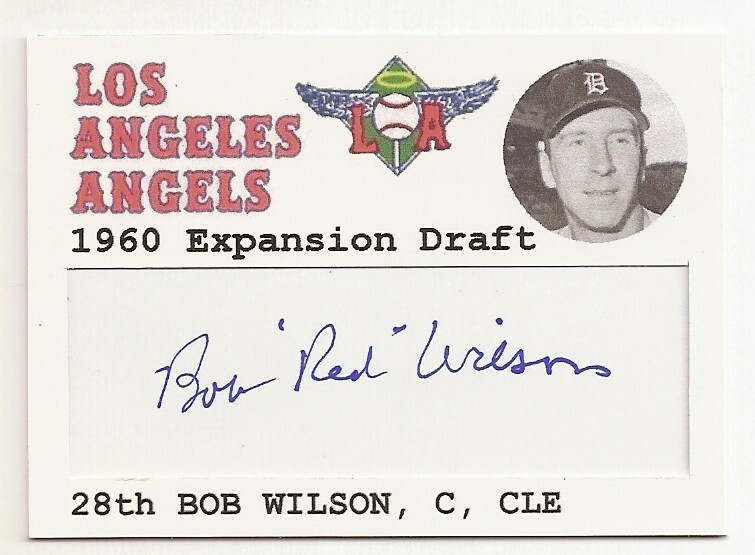 Drafted 3rd by the Los Angeles Angels from the New York Yankees in the 1960 expansion draft. 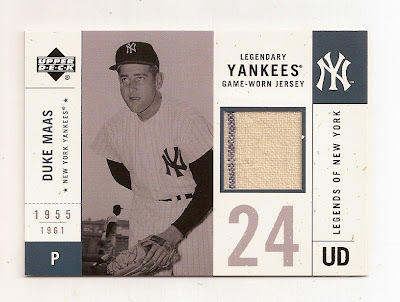 Later traded by the Los Angeles Angels to the New York Yankees for Fritz Brickell on April 4, 1961. 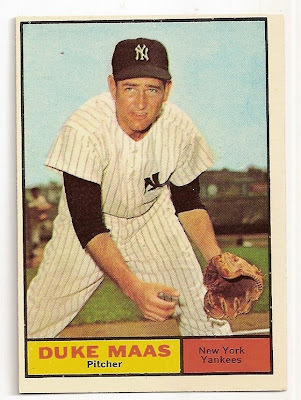 After stints with the Tigers, Athletics, and Yankees where he was a member of the 1958 World Champions, and the 1960 American League Champions, Maas was placed in the expansion draft where the Angels picked him up then flipped him back to the Yanks. He would only appear in one more game for Yankees before retiring with an ailing arm. Height: 6' 0", Weight: 170 lb. 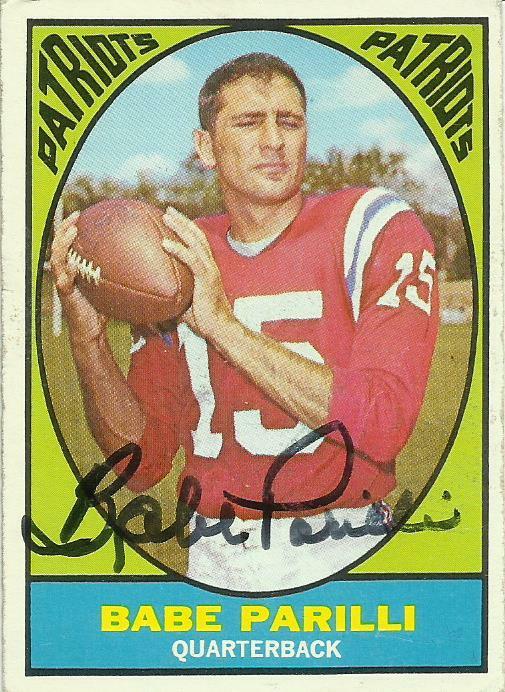 Born: September 11, 1933 in New York. 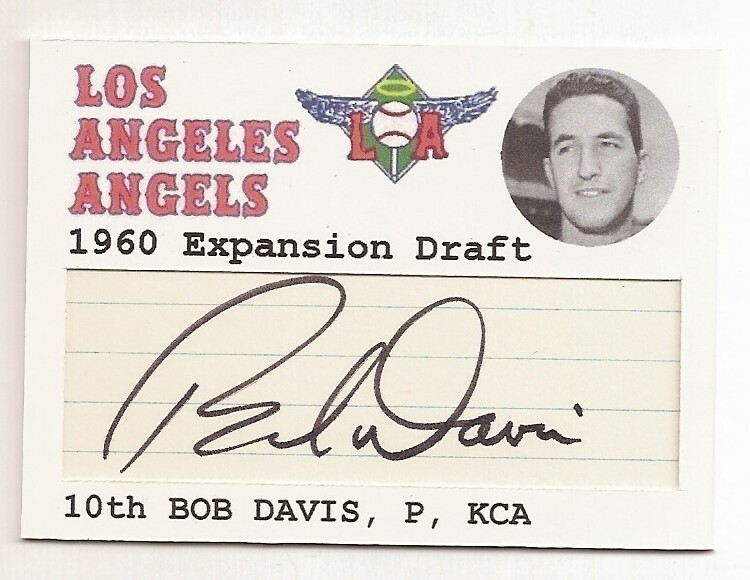 Drafted 10th by the Los Angeles Angels from the the Kansas City Athletics in the 1960 expansion draft. 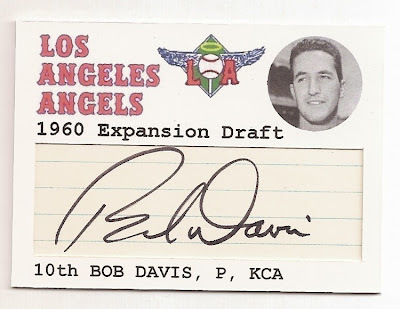 Davis was 0-4 with a 5.71 ERA in stints with the Athletics at the time of the draft, so I'm not sure what the Angels saw in him, although his minor league record was a bit better at 48-49 with a 4.08 ERA. 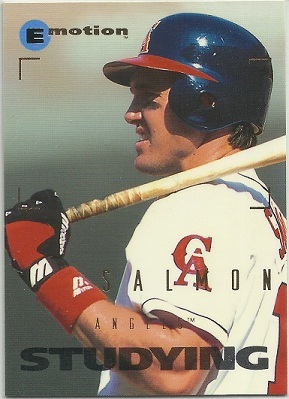 After being selected by the Angels he decided to leave baseball and return to Yale to continue persuing his degree in clynical psychology. I'm not sure why the Angels were not allowed another draft selection, as they were for Bob Wilson. Height: 5' 10", Weight: 196 lb. 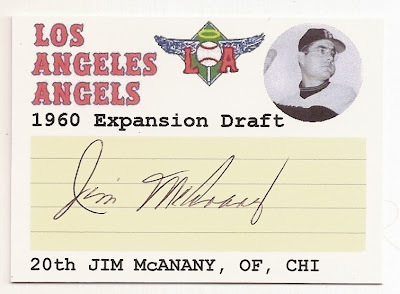 Drafted 20th by the Los Angeles Angels from the Chicago White Sox in the 1960 expansion draft. April 1, 1961: Traded by the Los Angeles Angels to the Chicago Cubs for Lou Johnson. 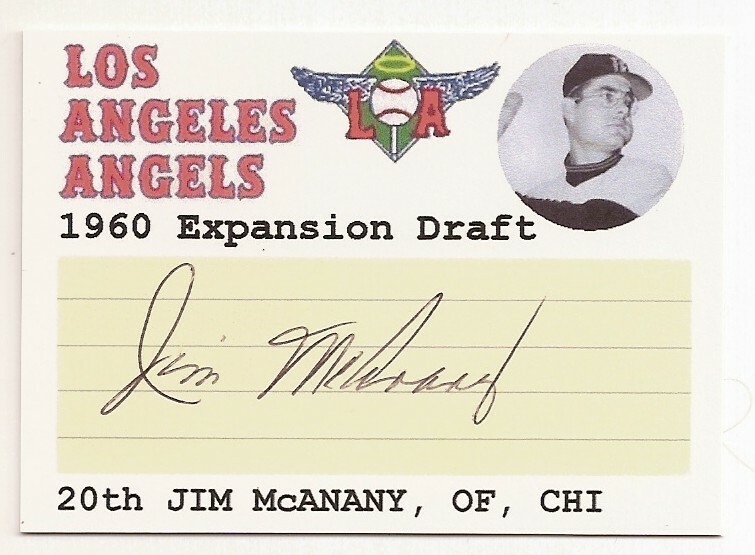 After short stays with the Cubs, and the PCL San Diego Padres and Seattle Rainiers, Jim was out of baseball by 1963. Height: 5' 10", Weight: 180 lb. 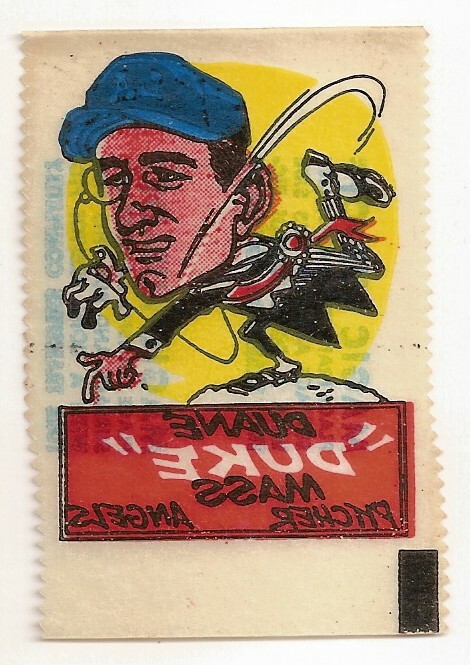 Drafted 24th by the Los Angeles Angels from the Baltimore Orioles in the 1960 Expansion Draft. 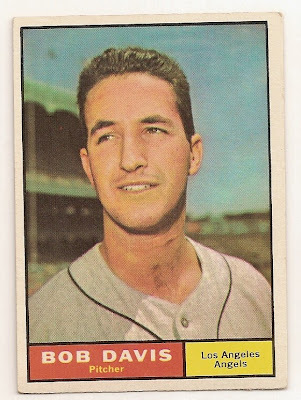 Don bounced around in the Angels minors till 1963. Height: 5' 10", Weight: 160 lb. Born: March 7, 1929 in Milwaukee, WI. 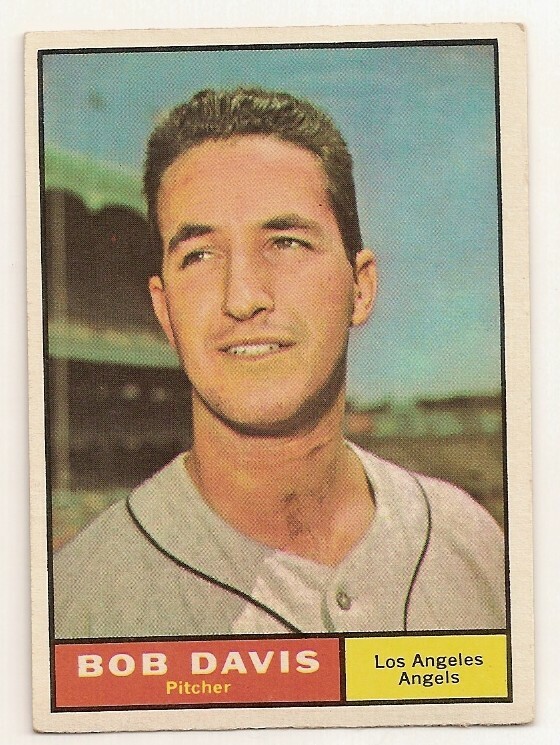 Selected 28th by the Los Angeles Angels from the Cleveland Indians in the 1960 Expansion Draft, but decided to retire. 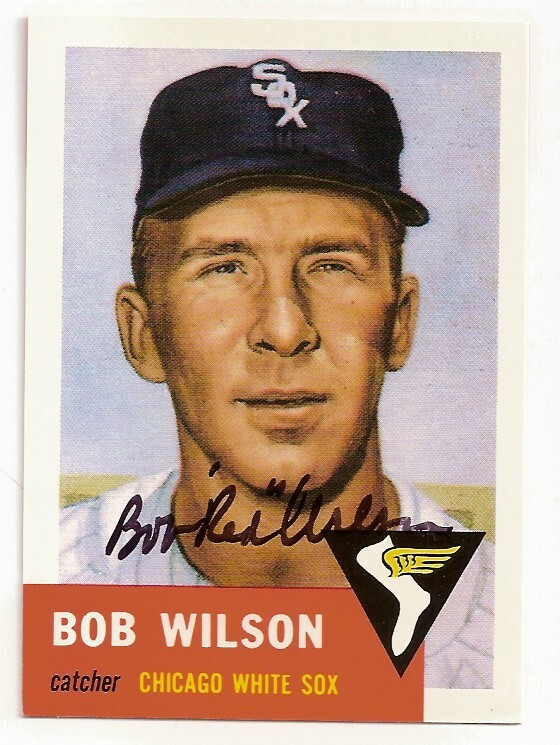 The selection of Bob Wilson was thus cancelled and the Angels were sent Ted Bowsfield in his place. 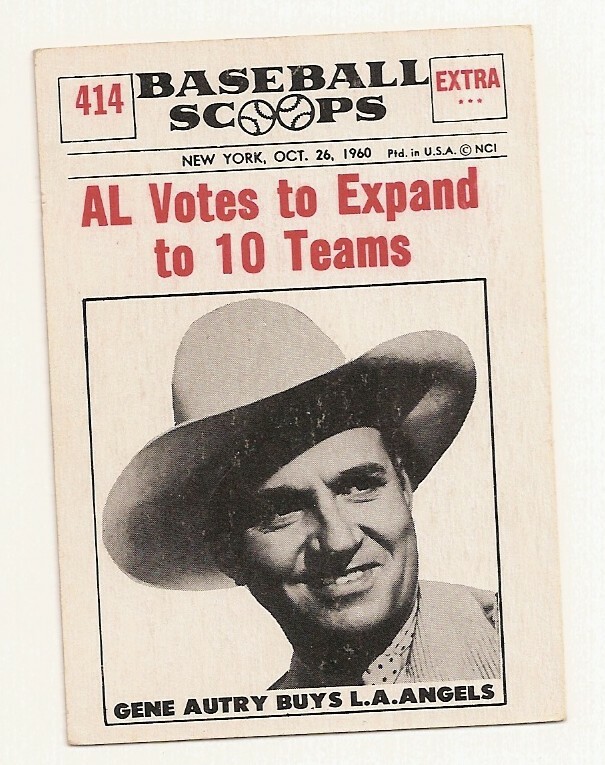 "Led the Detroit Tigers with 10 stolen bases one year - as a catcher!" True-in 1958 he had 10/10 stolen bases, the next highest was Al Kaline with 7. The team total was only 48.